What a week! We’re sure you’ve seen plenty of election round-ups, but we thought we’d share just a few reports from places where AROS tables were instrumental in election results. We also highlight a few elections that have significant meaning for public schools and take a quick look at what it means for K12 education to have the U.S. House in Democratic hands. Sending a clear message that the community is fed up with corporate reform, voters in Indianapolis ousted two incumbents on the Indianapolis Public School (IPS) Board, replacing them with opponents of the district’s corporate reform agenda. Indianapolis schools have been under persistent attack by corporate reformers over the past decade, with increasing numbers of charters and public school closings. The district—under the tutelage of the Mind Trust (a corporate reform entity)—has also created so-called “Innovation Schools,” which are IPS schools that are handed over to a charter management organization. Innovation Schools have complete autonomy and a school board that is not elected by the public, yet continue to receive public funds. Additionally, this structure allows charters under the IPS umbrella to take advantage of district-provided services such as transportation and special education services at no cost. First-time Board candidates Taria Slack and Susan Collins were backed by the IPS Community Coalition (the Indianapolis AROS Chapter) and the local teachers union and ran against incumbents backed by Stand for Children and the Mind Trust. Slack and Collins are vowing to pressure the IPS administration to improve transparency, offer genuine community collaboration and engagement, and hold the administration accountable. This victory is proof that ordinary citizens can defeat big money. People power trumps money power. IPS Community Coalition is organized, prepared, and ready to reclaim our schools! Newark voters overwhelming opted to stick with an elected school board rather than give the mayor the power to appoint the board’s members. The ballot referendum was required by law and came less than a year after the state relinquished its decades-long control of the Newark public schools, returning them to local authorities. The referendum proposed that the city’s 9-member board be appointed by the mayor. But even the current mayor, Ros Baraka, weighed in against the referendum, saying “I do not want that power…I want the people to have that power.” The people agreed. Community groups including PULSE and others worked hard to oppose the referendum. 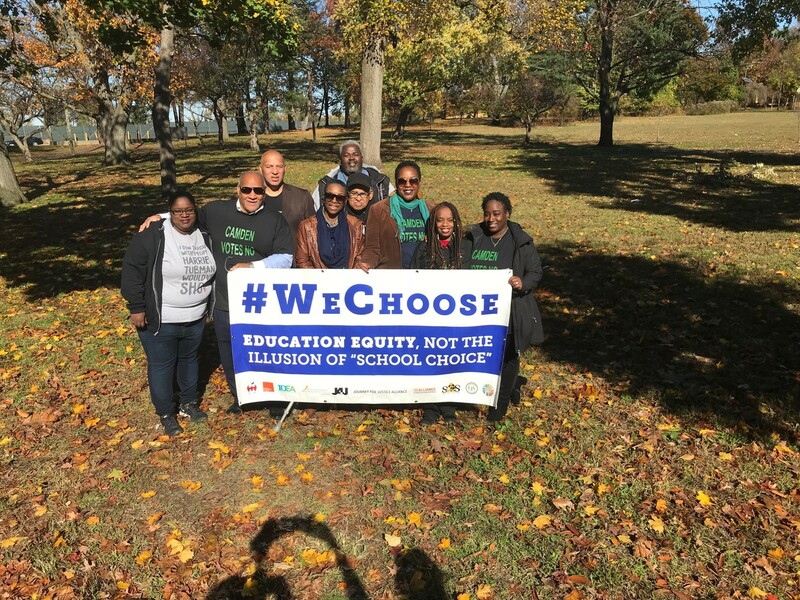 The Camden WeChoose Coalition secured a victory in Camden, NJ with community voting for the option to elect their School Board and do away with the mayoral appointed board. This is the first step to regaining local control in the city, which has been under State control for over a decade. Camden residents have not had the opportunity to vote for their school board since 2002 and even then it was dominated by majority mayoral appointed seats. This is a major victory in the city for the people and has rejuvenated a sense of unity. It has lit a spark to engage more of the community in the decision making process for the city. Residents came out in the pouring rain to cast their vote in the biggest turnout since the Obama election. A win, by 62% of the vote, sent a powerful message to the city administration that it is a new day in Camden. Base-building and strategy development are next on the agenda for the Coalition. A number of anti-public school governors were defeated on Tuesday, opening up longer term opportunities for more investment in, and less sabotage of our schools. In Illinois, voters showed billionaire Bruce Rauner to the door, opting instead to elect billionaire J.B. Pritzker. Rauner has been a major obstacle to high quality public education, especially for the city of Chicago. He repeatedly vetoed school funding legislation, and was a key force behind the recent Janus case that led to a Supreme Court ruling that prohibits public sector unions from charging so-called “agency fees” to non-members. Pritzker may be a billionaire, but he has promised to limit or roll back school choice programs and increase funding for schools. Wisconsin teachers, parents and students get the credit for (finally) ousting governor Scott Walker, who has done untold damage to the state’s schools, especially those in Milwaukee. Walker was the architect of massive budget cuts to education in his early years, expanded the state’s voucher program, eliminated the rights of teachers to bargain collectively and attempted to orchestrate the takeover Milwaukee public schools. No third term for this guy, who was defeated on Tuesday by Tony Evers, the current superintendent of public instruction and a former teacher. Voters in Michigan elected Gretchen Whitmer, a member of the American Federation of Teachers and a public school parent, to the governor’s mansion. Whitmer promised to take on the DeVos school reform agenda in Michigan. A few important ballot initiatives also went the right way on Tuesday. Arizona voters defeated a ballot initiative (Proposition 305) that would have expanded eligibility for private school vouchers. 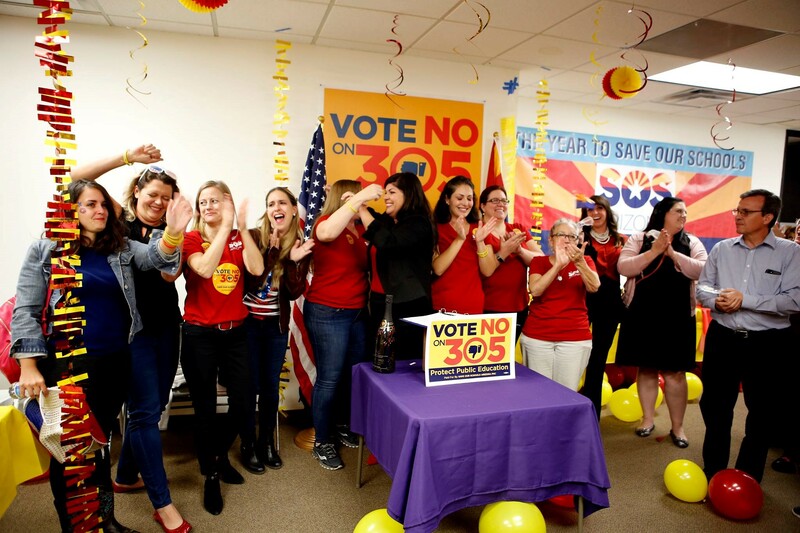 Save Our Schools Arizona, the grassroots coalition of educators and parents who collected enough signatures to get Proposition 305 on the ballot, gets the credit for the win. SOS beat an Americans for Prosperity-funded court challenge to block the measure, then went on to win the “no” vote. A recent state audit confirmed that the voucher program has been riddled with misuse and unaccountability. Maryland voters passed an initiative that requires the governor to dedicate revenues from the state’s gambling industry to fund local public schools. The funding pot from the casinos is estimated to top $500 million by 2022. The initiative requires gambling revenues to supplement, not supplant current minimum funding requirements. The state’s gambling law was passed in 2008 and was sold as a way to boost funding for public schools. But in practice, little new money found its way in to the schools, as the state simply reduced general fund appropriations. The new initiative will likely lead to an infusion of money for Maryland schools (maybe they can fix some of those school heating systems, so kids don’t need to huddle in jackets and mittens over the coming winter!). Meanwhile, a state commission is continuing its work to update that state’s funding formula. Finally, not all the votes went the way of public education. A ballot measure in Colorado that would have raised taxes on corporations and the wealthy, failed to pass. Proponents estimated that the measure would have raised an additional $1.6 billion for Colorado schools. Alas. The transfer of the U.S. House of Representatives to Democratic control bodes well for public education, although few believe that significant education advancements are possible given continued Republican control of the Senate, and of course the veto power of the President. Still, the switch means that Democrats will chair all of the House committees, which gives them significant power to hold hearings and investigations and to lift up issues important to our fight for the schools all students deserve. 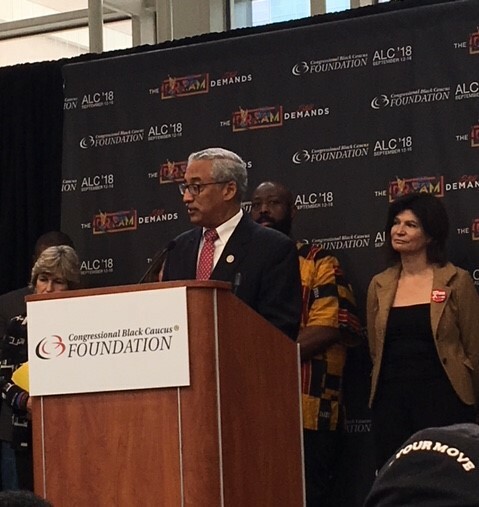 Public education champion Bobby Scott (VA) will likely become chair of the important Education and the Workforce Committee, and has vowed to continue his efforts to pass a major school infrastructure bill (H.S. 2475). Scott supports full-funding for Title I and IDEA, and has been outspoken in his opposition to the school-to-prison pipeline. AROS has been in touch with legislative directors from both of these offices to discuss our issues and prospects for lifting up the fight to reclaim our schools in the next Congress. 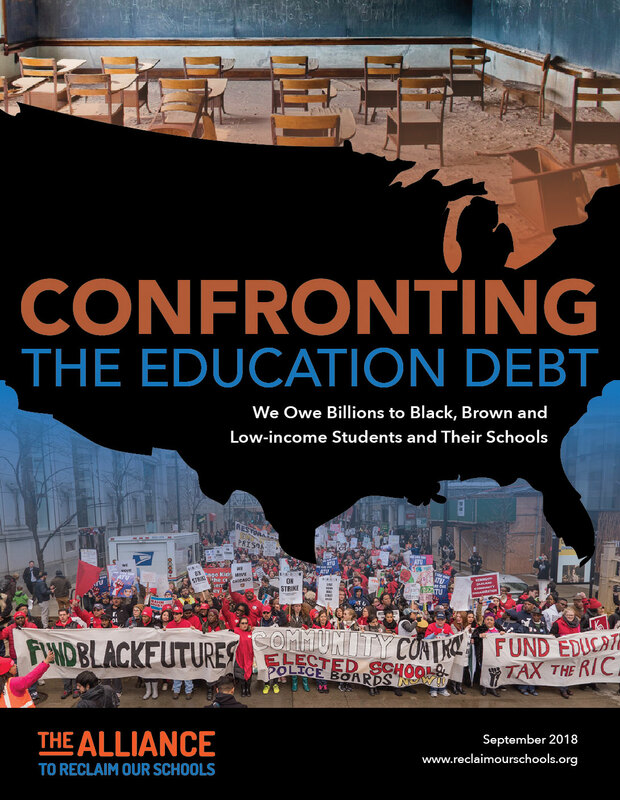 Have you checked out the new AROS report, Confronting the Education Debt? Find out how much federal education money your state has been denied over the past thirteen years! Also check out "A ROSe in LA," a short video documentary that takes a look at what disinvestment looks like in one Los Angeles School.